Home » If you could send one email to save a big cat today, would you? You love wild cats, right? What’s the single most important thing you can do to save them right now? Contact your Senator HERE and tell them “Support S.2541.” Contact your Representative in the House HERE and tell them “Support H.R. 3546.” If you have time, include the facts below with your message, too. With just TWO emails, you can educate them and make a difference! The Big Cat Public Safety Act, H.R.3546 / S.2541, amends the Captive Wildlife Safety Act to prohibit future possession and breeding of lions, tigers, and other big cats in the exotic “pet” trade. It is narrowly focused on privately-owned animals, and includes exemptions for zoos accredited by the Association of Zoos and Aquariums (AZA), sanctuaries, universities, and traveling circuses. Current owners are grandfathered in and simply required to register their animals with the USDA. This commonsense bill is an urgently-needed solution to the problem of big cats kept in unsafe and abusive circumstances. Wild animals kept in basements, cement pits, or tethered in backyards not only suffer immensely, but also pose a serious risk to the safety of the surrounding community. 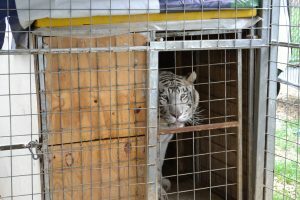 An estimated 10,000-20,000 big cats are currently owned as pets or maintained in ill-equipped roadside zoos around the U.S. Exact numbers are a mystery— nobody knows exactly how many dangerous big cats are being kept in private hands, under what conditions, and where. Since 1990, there have been over 740 dangerous incidents involving big cats – tigers, lions, cougars, and other species. Five children and 16 adults have been killed and another 50 children and scores of adults have been mauled. 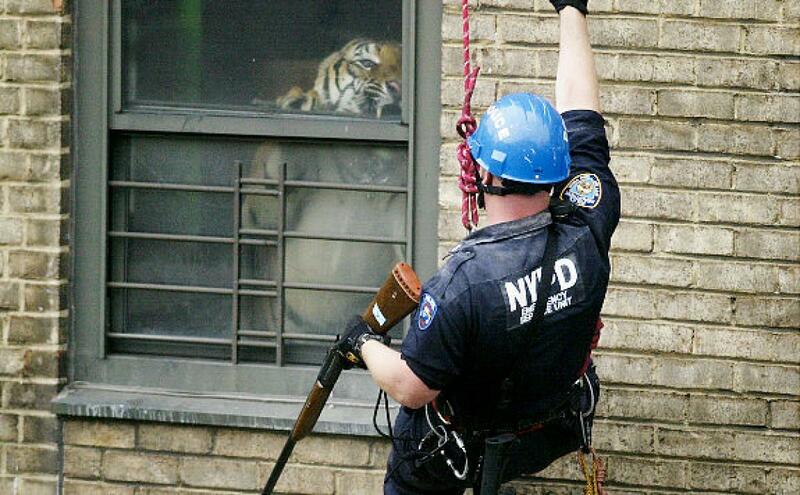 Tigers are 360-720 times more likely to be involved in fatal attacks than dogs. 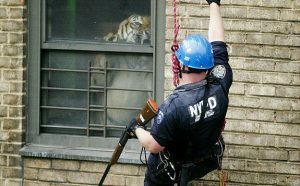 Big cats pose a serious threat to public safety as well as to law enforcement officers and other first responders who must risk their lives when these animals escape or attack. Big cats are wild animals and suffer when forced to be backyard “pets.” Private owners are not able to manage them once they’re fully grown. Consequently, the animals are frequently abused and left to spend their entire lives in cages with barely enough room to move. Big cats cannot be domesticated. Unlike companion animals who have been domesticated over centuries, big cats always retain their natural instinct to hunt and attack. It does not matter that they were born in the U.S. or have been bottle-fed and around people their entire lives; a wild animal will always be a wild animal. Private possession and breeding of big cats contributes to illegal international wildlife trafficking. Undercover operations by the U.S. Fish and Wildlife Service have demonstrated that there is an illegal trade in U.S. big cat parts, including skins and bones. There is currently no way to know how many U.S.-born big cats are disposed of or when their parts enter this black market trade. This is a problem that requires a federal solution. With some states banning private ownership of big cats, other states imposing partial to no restrictions whatsoever, and most states (except for Kentucky, Ohio and Washington) exempting USDA licensees, this regulatory patchwork is failing to protect public safety and animal welfare. 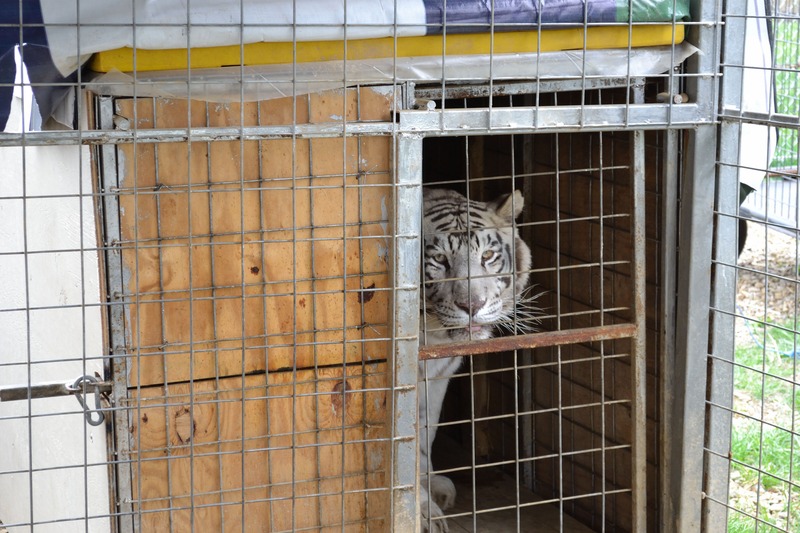 The Big Cat Public Safety Act will ensure these big cats only live in secure facilities that can properly provide for them, and will mean that captive big cats do not threaten public safety, diminish global conservation efforts, or end up living in deplorable conditions.